TORONTO, Nov. 7, 2017 /CNW/ - As of today, Canadian and world audiences will have a renewed access to memorable Canadian film and TV content from years gone by. Key Canadian audiovisual industry organizations announced the launch of a YouTube channel which provides free access – anytime and anywhere – to a wealth of iconic content in the age of digital connectivity. Visit Encore+ at youtube.com/EncorePlusMedia. 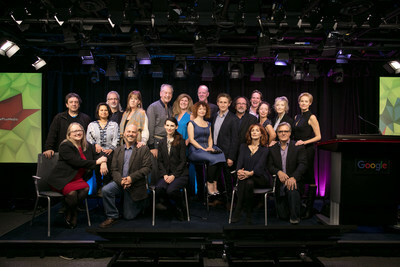 The new channel was launched at Google Canada's offices with talent in attendance that contributed to titles now available on Encore+, including actresses Liane Balaban, Jennifer Dale, Karyn Dwyer, Sheila McCarthy, Cynthia Preston and Michelle St. John; actors Henry Czerny, Aiden Devine, Shawn Doyle, Pat Mastroianni, Tony Nardi, Michael Riley, Michael Theriault, and John Wildman; as well as producers Bernard Lajoie, and Rayne and Bernie Zuckerman. Encore+ already offers over 300 videos across 100 award-winning feature films and television series in both official languages, including comedies, dramas, children's and youth shows, documentaries and short films. Every week, dozens of titles will be added as part of an ongoing editorial calendar, including a number of Canadian feature films premiering on Encore+ in newly re-mastered versions. All digitizing, encoding and remastering of works is provided by Deluxe Toronto. 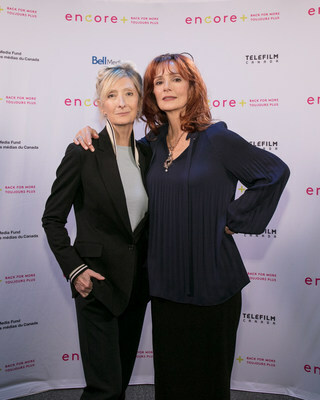 Among the top titles featured on Encore+, audiences will find fan-favourites that transcend generations, including Cornemuse, Da Vinci's Inquest, Degrassi High, Due South, I've Heard the Mermaids Singing, John A: Birth of a Country, La Petite Vie, Le Vieil Homme et la Mer, Little Mosque on the Prairie, Moi et l'Autre, Maman Last Call, Moccasin Flats, Mr. Dressup, New Waterford Girl, The Corporation, The Littlest Hobo, Watatatow and dozens of other exceptional productions reflecting Canada's history and stories from coast to coast to coast. Using a non-exclusive approach, Encore+ will complement the offerings of Canadian stakeholders already active in online distribution. This channel is a Canadian content discoverability and visibility tool, at a time when we celebrate Canada's 150th anniversary. Working closely with Canada's film and television producers, distributors, broadcasters, unions, guilds and other industry associations, Encore+ is spearheaded by the Canada Media Fund (CMF) with support from Google Canada, Bell Media, BroadbandTV (BBTV), and Deluxe Toronto. Telefilm Canada is also a key partner in this endeavor, providing financial and promotional support. "Many of the titles we're featuring have been enjoyed by audiences from different generations and were funded through public support. They have since disappeared from most screens. The public is a shareholder in this content and these great works deserve to be available to Canadian and world audiences. Providing access to this content celebrates the work of many Canadians both on- and off-screen, some of which started their careers in content now made accessible through Encore+. Through this initiative, beloved stories are given back to audiences by creating an online hub that showcases and celebrates iconic Canadian films, television and talent. I would like to give a warm and special thanks to all Canadian creators, producers, distributors, broadcasters, producers associations, unions and guilds that facilitated access to the stellar content available on Encore+." "The CMF's new Encore+ channel is an incredible roster of Canadian film and TV favourites, and we are thrilled to welcome these titles to YouTube. Canada is one of the world's most vibrant YouTube communities, with watch time growing 30 per cent over last year, and we are certain that these celebrated titles will find an engaged audience both here at home and around the world." "Encore+ is a celebration of Canadian talent, allowing new generations of viewers to be entertained by a diverse catalogue of some of this country's favourite productions. We are proud to support an initiative that provides access to this library of Canadian classics." "It's been an absolute pleasure working with the CMF on launching Encore+. Reviving this content so it can be watched by Canadians and the world ensures that a new generation of viewers will enjoy these great Canadian classics. " "I'm thrilled to add yet again to our arsenal of discoverability initiatives. Canadians discovering and consuming Canadian content across all platforms is at the heart of Telefilm Canada's vision, and has been an important priority for us for a number years. I am pleased to once again partner with the industry, and I congratulate the Canada Media Fund team for leading this project. I look forward to seeing Encore+ build new audiences for classic Canadian content." The Canada Media Fund (CMF), Google Canada, Bell Media, BroadbandTV (BBTV), Deluxe Toronto and Telefilm Canada would like to thank the Alliance of Canadian Cinema, Television and Radio Artists (ACTRA), Association des Réalisateurs et Réalisatrices de Film du Québec (ARRQ), Association québécoise de la production médiatique (AQPM), Canadian Media Producers Association (CMPA), Directors Guild of Canada (DGC), Société des auteurs de radio, télévision et cinéma (SARTEC), Union des artistes (UDA), and the Writers Guild of Canada (WGC), who acted as collaborators on the project. Google's mission is to organize the world's information and make it universally accessible and useful. As a global technology leader, Google's innovations in web search and advertising have made its website a top internet property and its brand one of the most recognized in the world. With over 800 Googlers across four offices in Waterloo, Toronto, Montreal, and Ottawa, Google Canada's engineers work on products used by millions of people worldwide everyday including Chrome & Chrome OS, Gmail, Google's mobile apps and Google's Ads and commerce infrastructure. Google Canada's sales teams work across every industry in Canada with businesses of all sizes to grow their business online and make the most of the web.